How did I come up with the story and title for The Pharm House? My first attempt at writing a novel length story was during graduate school. It was science fiction, about half-finished and is beyond awful. I still keep it as a painful reminder. I waited several years and was ready to start another novel length story. You always hear “Write what you know”. My choices were to write about something I was already knowledgeable about, or go off and do the research in order to become knowledgeable. Working full time in the pharmaceutical industry, doing research on a new topic wasn’t viable given the time required. That was when I decided to set my story inside a fictional pharmaceutical company – Marshall Pharmaceutical. 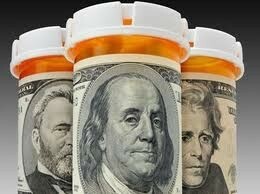 Big pharmaceutical companies are often referred to as Big Pharma. Using a play on words, I decided to title my book, The Pharm House. The Pharm House is a suspense thriller novel set in today’s international pharmaceutical industry. What if a young scientist, Dr. Nicholas Harding, working in a pharmaceutical company is just trying to take care of his family, but gets caught up in an international plot? This is the basis for my story – The Pharm House, – a thriller set in a fictional New Jersey pharmaceutical company. The protagonist, Nick Harding, is struggling to raise a young daughter as a single parent and climb the corporate ladder when he stumbles across a global plot to take over the company where he works, Marshall Pharmaceutical Corporation. Mysterious deaths occur, including Nick’s mentor. Nick’s career, family and life are threatened. Nick is kind of like Alan Gregory in the Stephen White stories, just a guy trying to get through life and take his family, but things (bad people) keep getting in the way. The Pharm House is the first in a series of three stories about the Harding Family. I invite you to join me and see how events play out for Nick, his family and friends in The Pharm House.